Reiki is a Japanese term which means ùniversal life energy`- i.e. the energy that lives in all creation, that inherently nourishes all living beings and keeps them alive. It also describes a natural method of healing. 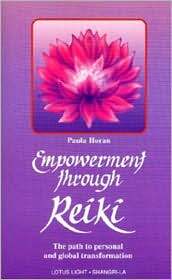 Paula Horan describes exactly how Reiki energy works, and the way it can be used for spiritual healing. She also shows how colours, tones, crystals and massage can be incorporated into the Reiki healing process.